Fleetwood Mac in 1979: pre-Yoda on drums. 1. Stevie Nicks looks a lot like Sylvia Kuzyk. 2. Disco ("Stand back, stand back!") beats long guitar solos and blues jams. 3. 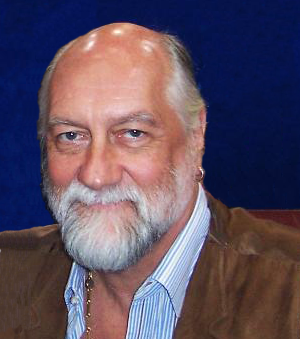 Mick Fleetwood looks a lot like Yoda. 4. I like the verse more than the chorus on "Go Your Own Way." 5. I really like the Lindsey Buckingham solo song, "Go Insane." Judging by the rapid crowd departure for beer during that song, I'm the only one. 6. A surprising number of Winnipeggers will keep trying to get onto the floor for the show, even though they clearly don't have tickets for floor seating, and security keeps saying "no." 7. Middle-aged women will buy tambourines for $40 if they say "Fleetwood Mac" on them. 8. Despite the name of the band, "Fleetwood and Mac" seemingly contribute less to the band than "Buckingham and Nicks." 9. Some guys in the audience like to play an air-guitar solo when a guy onstage is playing a real guitar solo. 10. A paperless ticketing system actually generates paper at the gate. And no one checked my passport.